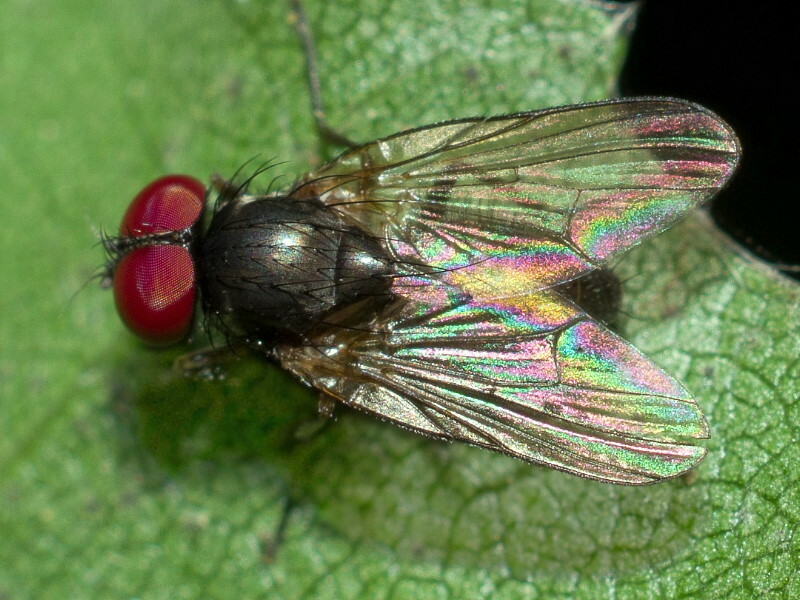 I found this little fly in a mixed forest in Germany, Saxony in September 2018. Unfortunately there is no satisfying sideview. Thank you very much for ID. 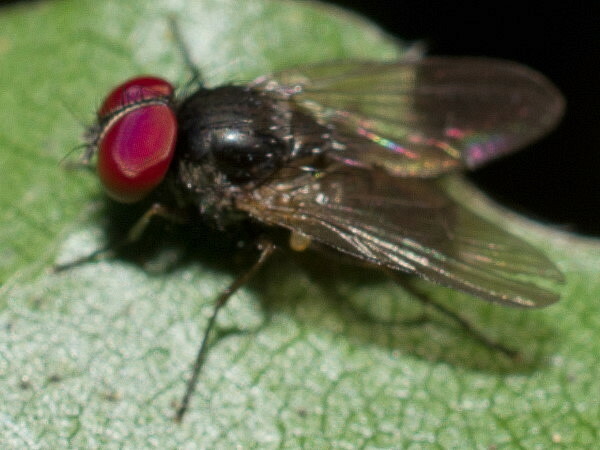 The eyes of the fly were bright red, but the colors can slightly differ. because the photos were flashed.